Acorn Amplifiers has announced the Petito, an all-tube seven-watt unit. 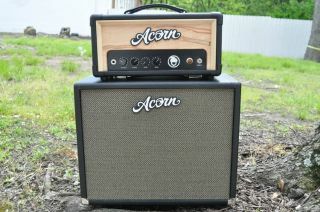 The hand-built and hand-wired amp features a JJ 6V6 output tube, NOS 6SN7 preamp tube and a GZ34 tube rectifier. There’s also audio-grade resistors, classic tone transformers and F&T filter capacitors, as well as 8 ohm impedance output and CTS potentiometers. The streamlined control panel features volume, treble, mid and bass knobs, and the rugged enclosure is made of lightweight baltic birch.